How this seven-piece became the world’s biggest boy band, according to fans and experts. On a humid July evening, Kaley came home from her Louisiana high school, wolfed down her mom’s home-cooked dinner, and retreated to her room, where she sat on the bed and started texting her friends about Korean pop music. 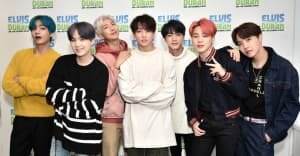 The bubbly 14-year-old is in “many” group chats about the needle-pushing global phenomenon known as K-pop, but on this day she faced a task that she relished: the chance to recruit a new fan for BTS, the wildly popular seven-member group that tethers their hip-hop swagger with ravey pop beats. When an “internet friend” asked for an introduction to the group, Kaley gave a CliffsNotes rundown of their sound, and a short description of each member. When she got to Suga, a rapper and producer with slushy-blue hair, Kaley typed, “he’s so beautiful I want to shove a hammer in my mouth.” And then, she actually did it. Serious dedication to BTS isn’t uncommon among the group’s fans, though most of them channel their passion a bit more productively: by streaming their kaleidoscopic videos, and downloading their music. This week, for the chart week ending September 21, the band entered the U.S. album chart at number seven with their imaginative rap/pop hybrid Love Yourself: Her, thanks to a sustained campaign from the band's global online followers. As Billboard reports, it’s the highest-charting K-pop album ever — one-upping BTS’s own previous record for 2016’s Wings — and helped score the genre its biggest sales week of all time. That’s powered, in part, by streaming numbers from the mind-bending “DNA” video, in which the members defy gravity in a matrix of Inception-style rooms and contort their bodies into double helix-inspired choreography, set to a maddeningly catchy whistle hook. 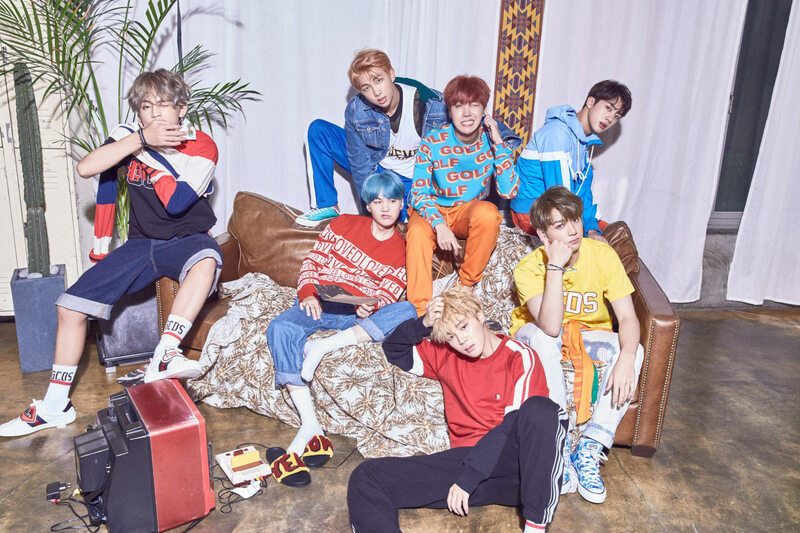 On the singles chart, “DNA” is new at number 85, making it only the second ever K-pop track sung predominantly in the Korean language to make the Hot 100, following PSY’s Obama-endorsed “Gangnam Style,” which galloped to number two in 2012. BTS’s big moment this fall hasn’t come out of nowhere. Since launching with the floor-pounding trap-goth bop “No More Dream” in 2013, the group’s fan community, called ARMY, has operated with the unrelenting tactical precision that its name suggests. BTS is currently at the top of the Billboard Social 50 for a 40th non-consecutive week, thanks to YouTube clicks and interactions with their selca (selfie)-heavy feeds, while TIME included the septet on their June 2017 tally of The 25 Most Influential People on the Internet. They were the 44th most viewed act on YouTube in the U.S. between January 2016 and April 2017, according to an August 2017 New York Times report. Crucially, it’s fresher acts like BTS — or dynamic Korean nine-piece EXO — that seem to be winning the hearts of U.S. pop fans, at a time where there aren’t many rival Western male groups. The media has been quick to point out the One Direction-sized hole in pop after the British act disbanded in 2016, and major labels have been scrambling to grab a piece of that market. In the past couple of years we’ve seen the emergence of reggaeton-influenced reality stars CNCO (Sony Latin), winsome boys next door Why Don’t We (Atlantic), and VANS-wearing ’90s throwbacks PRETTYMUCH (Columbia). But these acts haven’t connected with a North American audience in a big way yet, though CNCO are huge in Latin countries and the latter two acts are starting to pop off in the U.S. with their endearingly playful, personality-driven videos. Kaley admitted that BTS’s outré outfits and performances have drawn homophobic reactions in her red state of Louisiana. “People are very judgemental here — huge Trump supporters mainly,” she said. “They’ll automatically say, ‘Oh, that’s gay.’ It makes me mad how people could judge other people for what they like. I like to be the bigger person, and not respond.” It’s frustrating that some audiences may steer away from BTS because their high-fashion looks and choreography don’t always adhere to Western macho stereotypes. But for their fans this is another reason to love them. Love Yourself: Her by BTS is out now on Big Hit Entertainment.